Very loosely inspired by the Walsh Street police murders in 1988, Animal Kingdom is an Australian crime drama that doesn’t feel like anything else that has come before it. Tonally it owes more to Rowan Woods’s excellent drama The Boys rather than other Australian crime films like The Square, Gettin’ Square or The Hard Word and yet it still follows the conventions of a crime drama to result in a complex and gripping piece of cinema. At the centre of the film is Joshua ‘J’ Cody (played by newcomer James Frecheville), a socially inept and introverted teenage boy who goes to live with his grandmother Janine (Jacki Weaver) after the death of his mother. Janine’s sons (played by Ben Mendelsohn, Joel Edgerton, Sullivan Stapleton and Luke Ford) are career criminals whose lives are increasingly under treat from a group of vengeful and trigger-happy detectives. Writer/director David Michôd achieves a remarkable intensity throughout Animal Kingdom with his command over film style. Director of Photography Adam Arkapaw’s superb slow and fluid camera movements often creep up behind characters or emerge from behind obstructions to give many scenes a sense of paranoia and vulnerability. Composer Antony Partos’s haunting music often consists of a slow series of heavy notes but the result is an atmosphere of utter menace. One scene where a television in the background plays the video clip to Air Supply’s softrock hit “All Out Of Love” is made extraordinarily creepy by the addition of Partos’s music to really reinforce the threat posed by one of the characters. Michôd takes an extremely low-key approach to the violence so that it never has a chance of becoming entertaining spectacle. Violence is an important part of Animal Kingdom but it occurs quickly, often without warning and in an almost muted way. The result is that the actual physical acts of violence are not under scrutiny but we are instead compelled to focus on the aftermath to confront the horror of what has happened and the fact that human beings are capable of such acts. The violence in Animal Kingdom is never graphic but it is always chilling. While Animal Kingdom is a tightly written and expertly directed film it still owes much of its power to its fantastic cast. James Frecheville is remarkable as J and the film really takes advantage of the fact that Frecheville is the unknown actor amid many of Australia’s finest and most well known performers (also including Guy Pearce). For most of the film Frecheville is a blank slate – almost the ultimate innocent bystander – but in one key scene where he does emote he gives a performance in one or two minutes that many actors strive for throughout their entire careers. All the actors playing the Cody brothers are wonderful but it really is Ben Mendelsohn who shines as Andrew ‘Pope’ Cody. Pope is first discussed in the film as being the one everybody else feared but when we first see him he looks so inconsequential that you cannot help but wonder if there was an error in the script. However, as the film builds Mendelsohn brings a simmering furiousness to Pope that is truly terrifying. Mendelsohn constantly keeps this energy right below the surface so that it is never obvious but always present enough for us to see it and dread what he could be capable of. Animal Kingdom is the best crime film ever made in Australia and it’s one of the best crime films full stop. Michôd really gets us into the world of these characters in a way that makes them completely fascinating without ever glorifying the destructive lives they lead. A film like this should horrify and revolt you but when it is this well crafted and so lovingly and intelligently made by everybody involved, the results are captivating. Listen to Thomas Caldwell’s interview with actors James Frecheville and Luke Ford. This entry was posted on Monday, May 31st, 2010 at 4:31 pm and is filed under Film review. You can follow any responses to this entry through the RSS 2.0 feed. Both comments and pings are currently closed. I’m off to see an Australian film? Best crime film ever made in Australia. Wow, can’t wait to see it! First things I thought of when watching the trailer for this; The Boys and Two Hands. Finally a movie worth going to the cinema for. This movie is well made. Well shot, well acted, great dialogue. The plot, however, made me leave the cinema very very angry. The entire movie builds up to the climax very well but the payoff for the build up is nowhere near satisfying enough. Several scenes left me annoyed, even angry. For all you people who say “movies like this are supposed to make you feel something” etc, all i can say is if the intention was to make me angry that i even bothered with this movie, then a job well done. Your thoughts were insightful and comprehensive, albeit obviously favorable towards the crime drama- and I think, for good reason. I’m in agreement that the character portrayal was effortless and natural and potently seamless to draw the audience in to the real emotion of the plot. I thought this quote was so fitting. Pope was, as you said, “truly terrifying”. His glassy blue eyes and desire to be so emotionally close to his brothers and family made for a creepy spectacle. His calm paranoia only made his character more intense. Rarely snapping, but always feverishly contemplating- Pope’s portrayal was award-winning, and chilling. Whilst I’m aware that the crime drama requires a certain pace and intensity, there too- in my opinion- needs to be at least some moments of ‘sunshine’ or ‘light’ so as the audience can catch her breath. This seemed to be void. Granted, if you wanted to see a Rom Com or another form of drama, your expectations would be different. But with such an intense script, I would have liked some more room to breathe. Great review. I’m interested to observe how the film is received in the US and globally. We saw this film quite coincidentally close to re-watching Marie Antoinette and i was struck by the similarity in execution. Both films have minimal dialogue and explanation yet they convey the story by gesture and surroundings. Wonderful use of colour in Animal Kingdom. But – is it that Australian audiences especially those in Melbourne can read the missing pieces into the story becasue we remember the actual events ie we can fill in the gaps with the whole Walsh Street shooting and the trial. But this does make the ending unexpected and shocking. Aslo it was great seeing a crime film that was not full of chases and shrieking. The one incidence of a type of car chase was fantastic because we feel the suspense without the camera ever cutting to the car driven by Pope. Writer, broadcaster, film critic, public speaker and film programmer. Enter your email address to subscribe to Cinema Autopsy and receive notifications of new posts by email. Unauthorised use and/or duplication of this material without express and written permission from this blog’s author is strictly prohibited. 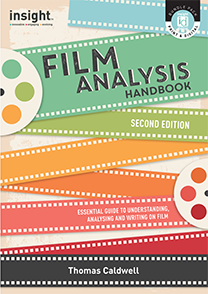 Excerpts and links may be used, provided that full and clear credit is given to Cinema Autopsy with appropriate and specific direction to the original content.